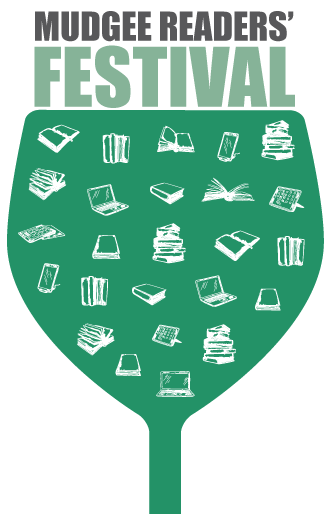 The program for this year’s Mudgee Readers Festival has just dropped, and it’s a doozy. I would definitely recommend a trip out to Mudgee for the weekend of 10-12 August. It’s only a three hour drive from Sydney and Mudgee is just one of the most beautiful Australian towns I have ever visited. There is such a buzz on the main street the weekend of the festival, and a really convivial air in the town. Plus, there are vineyards everywhere. It’s pretty much the perfect weekend! Highlights I am really looking forward to are a panel hosted by the wonderful Jane Rawson with three authors deeply connected to landscape, a blind wine tasting that matches wine with books, and an australian music trivia night featuring the marvelous Andrew P. Street. It’s a diverse program this year, and there is something for everyone. I will be offering bibliotherapy sessions at Mudgee Art House (don’t forget to book in, as these one-on-one consultations are limited! ), and am interviewing Mandy Sayer at a breakfast event at Pipeclay Pumphouse on Saturday morning. I am also very excited to be hosting a panel with Inga Simpson, Andrew P. Street, Laura Elizabeth Woollett and Chris Womersley, asking them about their favourite Comfort Reading. I can’t wait to talk about the reading that provides us with comfort and solace. What is your favourite Comfort Read? I’m embarrassed to say that there is a growing list of books that I am pretty sure I would love but have never got around to reading. I choose to see this as an opportunity, and leave this list here as a reminder of all the amazing holiday reading I am going to get done next time I go traveling. I read Extinctions by Josephine Wilson over the weekend. It’s the latest winner of Australia’s most prestigious literary award, the Miles Franklin, and certainly meets the award’s criteria of being distinctly Australian – presenting Australian life in any of it’s phases. Extinctions portrays a few days in the life of Fred Lothian, a retired academic who has recently lost his wife and has a difficult relationship with his two children. While living in a retirement village unit so cramped with vestiges of his former life that he can barely move, a few incidents compel Fred to remember certain moments from his own life, and a series of vignettes slowly reveal the somewhat tragic and complicated details of Fred’s relationships with his family. I really enjoyed this novel and couldn’t put it down, partly due to the fact that I longed for some self awareness from our patriarchal protagonist. When self-awareness starts to come to Fred’s unreliable narration, however, it’s incredibly confronting and heartbreaking. Josephine Wilson has done an excellent job of portraying the way the human mind works when it pushes something away that ultimately must be addressed. This is a novel about growing older, and the years between one significant stage of your life ending and the limbo you dwell in as you wait for dependency and advanced age to set in. But it is also a novel about memory, grief and loss, and about personal and cultural identity. I have intentionally not said much here about what is actually revealed as the novel progresses, because I think Wilson has done a masterful job of slowly sharing the details of Fred and his daughter Caroline’s story. The theme of extinction and being the last of your kind is very lightly woven through this novel in a way that I think makes it as relevant to our living now in the Anthropocene age, and while the 20th century looms large in this novel, this is very much a novel for Australia’s 21st century. As the Miles Franklin judges said, this is a novel that is deeply compassionate, but also unapologetically intelligent. If you enjoyed reading the 2017 Miles Franklin Winner, Extinctions, you may like some of the following reads for their unreliable narrators and focus on the often complicated but deeply significant stage of life that is old age. Next month I am starting an online course from the University of Warwick through Future Learn called Literature and Depression: Reading for Wellbeing. This is a subject I have always been interested in, and while I don’t suffer greatly from depression, having an autoimmune disease that often makes me extremely fatigued means that reading is a great solace to me, because it gives me the ability to rest my body while I engage my mind (podcasts are also great!). Even more importantly, reading the right book or poem at the right time can offer a great sense of wonder, which is definitely what makes me enjoy living and helps me make the most of every day. I should preface the phrase ‘right book at the right time’ by saying that I mean the right book at the right time for me. Everyone’s reading needs and desires are different, and my perfect leisure reading or reading for solace will not be the same as someone else’s. We all have different reading paths. I am excited to learn more about reading that may offer comfort, however, and I am looking forward to learning about some famous readers and what peace they found. I hope that this course will help me expand my bibliotherapy offering in future and it will definitely help me with Readers Advisory at the library.